Farrar, Straus and Giroux, 9780374296827, 2592pp. Giacomo Leopardi was born in Recanati, a small town in the Italian Marches, in 1798. Renowned in his youth as a classical scholar, he suffered from poor health all his life and never experienced happiness in love. He visited Rome, Bologna, and Florence, but never fully broke away from his family, until in his last years he finally moved with a friend to Naples, where he died in 1837. 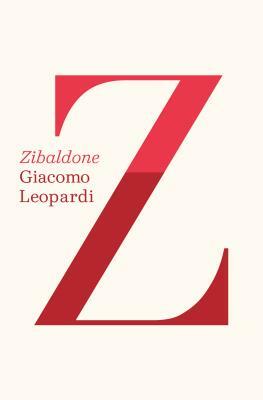 He is the author of Zibaldone. Ann Goldstein is an editor at the New Yorker. She has translated works by Roberto Calasso, Alessandro Baricco, Pier Paolo Pasolini, and Aldo Buzzi. The recipient of the PEN Renato Poggioli Translation Award, she is the editor of the forthcoming collected works of Primo Levi. She lives in New York.